Shamim is currently the CTO for Continuous Delivery (CD) business unit at CA Technologies, where he is responsible for innovating DevOps solutions using CA's industry leading technologies. His key focus areas include: "model-based everything" in Continuous Delivery (specifically model-based requirements, testing, deployment, release, test data and services) and new-age application architectures such as microservices. Prior to joining CA, Shamim was the lead for Digital Assurance, QA product and platforms, and other emerging quality engineering and testing solutions at Cognizant Technologies. He was responsible for innovating “Quality Intelligence” solution – a framework for smarter QA by leveraging the power of big data analytics, autonomics and cognitive sciences. Prior to Cognizant, Shamim was CTO for ALM solutions in HP Software where he has lead the development of enterprise solutions such as Mobility, DevOps and scaled agility. 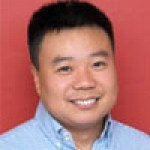 He also leads HP Services' ALM consulting and application testing business. 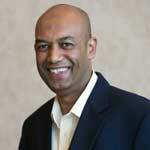 While at HP, he has also lead the architecture and development of enterprise software systems. Shamim holds two US patents, has been awarded the “Innovator of the year” award at HP, authored several technical publications and has a passion for customer delight. His industry experience has been in the areas of Telecom, Oil and Gas, Automotive, Financial Services and e-Commerce. 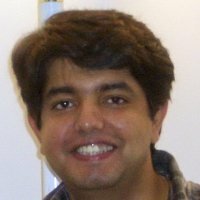 Shamim holds graduate degrees in Computer Science from the Massachusetts Institute of Technology, Cambridge, and a Bachelor of Technology from Indian Institute of Technology, Kharagpur. 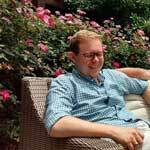 Tom (Ford) Arnett is an experienced full stack developer with several years in the automation space. He has created an automation department from the ground up, from building an automation lab to architecting several frameworks. Having worked with over a dozen clients impacting millions of users, all with varying flavors of restful API services, Ford employs a myriad of tools and tricks to help his team tackle all kinds of challenges. Deepak Arora has over 18 years of industry experience with 12+ years focused on Software Testing. Expertise with test management in regulated environments (FDA and FAA). The best part I like about Software Testing is improving the quality aspect of the product and making it close to perfect for the end users. 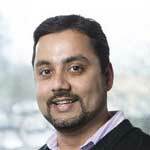 Deepak's experience includes: Acting Agile leader within organization with focus on continuous delivery and DevOps. Strong Linux/UNIX, RTOS, Python and Perl knowledge. Experience building automation framework using Perl, Selenium, Ranorex and AutoMate BPA Server. Test management tools experience using QA Complete, Rational Quality Manager, Zephyr and TestLink. Expertise on Oracle, SQL Server, Informix, JQL. Manual test planning, estimation, strategy and execution. Strong background with system admin, domain security/setup and networking. Configuration Management and Jenkins build system knowledge. Easy to adapt to new tools & technologies, expertise in problem analysis & troubleshooting. Michael Baldwin has been the Global Quality Manager of Northern Trust for 3 years. Prior to Northern, Mike spent 28 years working across the business, operations, and technology, developing a well-rounded perspective on all the dynamics of quality. Mike has managed development, business analysis, project management, and now has more than 20 years of experience working in Quality and Technology Transformation roles. Mike used to be a CFP, PMP, a Series 7 & 63 Licensed Rep., a Life, Health, and Accident Insurance licensed Salesman. He is now a leader who attracts talent and motivates with compelling vision and mission to make a difference. Before leaving JPMorgan Chase, Mike worked in the Chief Development Office (CDO) running the Chief Quality Office for the firm. This was a central organization charged with advancing the Testing and Quality practices across the organization. With a modest $13MM budget, Mike led a team which re-defined the Quality career path at Chase, creating the roles of Quality Director and Chief Quality officer leading a population of over 5000 testers. These leaders worked with the CDO to advance testing alongside development, adopt development strategies and principles, and deliver efficiencies and optimization of greater than 50% regularly. It was working across such a large organization like Chase that Mike adopted a love for data and a commitment to using it to drive decisions. 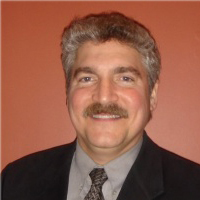 Lee Barnes has over 25 years of experience in the Software Quality Assurance and Testing field. He has successfully implemented test automation and performance testing solutions in hundreds of environments across a wide array of industries. He is a recognized thought leader in his field and speaks regularly on related topics. As Founder and CTO of Utopia Solutions, Lee is responsible for the firm's delivery of software quality solutions which include process improvement, performance management, and test automation. 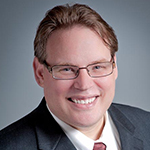 Dr. Richard Bechtold has over 30 years of software full lifecycle experience. During this time he has held a variety of positions from software engineering, to line, middle, and executive management. In parallel to this work, he has remained actively involved in various training, quality, and process improvement initiatives. Currently, Richard is the President of Abridge Technology, a Virginia-based company he founded in 1996. Abridge Technology provides consulting, training, support services, and appraisals in the areas of project and process improvement, and organizational change. His expertise spans organizations of all types and sizes. Abridge Technology is a CMMI Institute Partner, and Richard is a Certified Appraiser and Instructor for various CMMI models. Jeremy Berriault has been within the testing discipline for approximately 25 years within the Canadian Banking industry. It all began while working for a call-in helpdesk while going to university. Management saw his ability to find errors within the call tracking tool and assigned him to work as a User Acceptance Tester during the later stages of tool enhancements. After graduation, management requested that he apply to tester openings within the organization. Within a month he was hired as a junior tester for a large transaction switch system. It was not long until his ability to understand and ensure systems are effectively tested he was leading testing initiatives within projects. Years past and his testing knowledge, along with leadership skills, have allowed him to manage larger projects and programs that spanned across multiple lines of business and outside partners. The next logical step was to run a testing department. Jeremy shares his knowledge and experiences with his team to ensure all initiatives are successful. 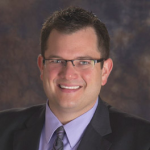 Jeremy has worked on his MBA where he completed in the spring of 2013. A major component of completing the MBA program was to complete a research project involving a major issue that plagues a work place or industry. Using what was taught over the program he completed a research project on the attitudes and views Business and Testing groups have for each other. Providing potential reasoning as to why each group could think the way they do and solutions to help resolve them. Jeremy’s main drive is to help bring attention to the value Testing groups can bring to an organization. Not just within providing assurance of quality software but to also how it could bring financial and efficiency benefits across the organization. 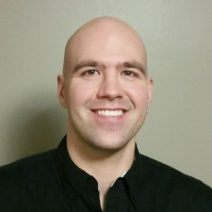 Shaun Bradshaw is a co-founder and principal of Zenergy Technologies, a software quality and test automation solutions firm with multiple industry experts under one roof and a large testing facility in North Carolina. With over eighteen years in the IT industry, Shaun is a recognized expert and thought leader in QA and test process improvement, test management, and metrics. Shaun has architected the test strategy and managed large teams of testers for numerous projects including a two-year, $70 million ERP implementation that went into production with no major issues. A regular on the QA and testing industry speaking circuit, Shaun has delivered keynotes at the largest testing conference in the U.S. as well as internationally. 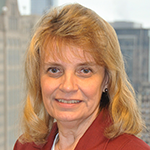 Susan Brockley was a software engineer with ExxonMobil for 27+ years working in the areas of quality assurance, testing, requirements, and project management. After her successful career with ExxonMobil, Susan is now an independent consultant. Her background also includes security and controls and requirements management. She has held the Quality Assurance Institute CSQA designation since 2002 along with a Master’s Degree in Software Engineering from the University of Texas. Susan is a guest lecturer at the University of Texas for a course on Measures and Metrics and has spoken at Quality Assurance Institute Conferences in Chicago (Usability – What you Need to Know to Begin Testing NOW) and Toronto (A View from the Back Seat – Past, Present, and Future Thoughts on Test Management). 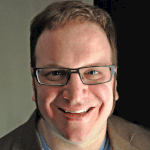 Tom Cagley is a senior agile coach at Hyland Software. In the role of agile coach he actively seeks out process problems across Hyland's development environment and facilitates solving problems. Mr. Cagley has over 20 years experience in the software industry. He has held technical and managerial positions in different industries as a leader in software methods and metrics, quality assurance and systems analysis. Mr. Cagley is a frequent speaker at metrics, quality and project management conferences. His areas of expertise encompass management experience in methods and metrics, quality integration, quality assurance and the application of the SEI’s CMMI® to achieve process improvements. Mr. Cagley is the president of the International Function Point Users Group. He also is an active podcaster, hosting and editing the Software Process and Measurement Cast (www.spamcast.net) and blogger (www.tcagley.wordpress.com). 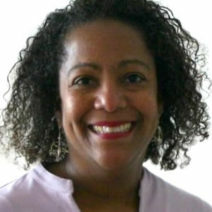 Clareice Chaney has over 30 years’ experience in Commercial and Government Contracting with an emphasis in information technology contracting and specific expertise in performance-based contracting techniques. She holds Masters Degree PMP certification from the Project Management Institute and is a Certified Professional Contracts Manager (CPCM) through the National Contract Management Association (NCMA). She has presented at the National Contract Management Association World Congress and provided collaborations on presentations on agile testing and contracting at the QAI North America QUEST Conference. Clyneice Chaney brings over 30 years of testing, quality assurance, and process improvement experience. Clyneice holds certifications from the American Society for Quality as a Certified Quality Manager/ Organizational Excellence and Project Management Institute’s Professional Project Manager. She has participated as an examiner for Baldrige state quality awards for Georgia and Virginia. She is currently an instructor for a International Testing Certification organization and has presented technical papers at the Software Engineering Institute: SEPG Conference, American Society for Quality: Quality Manager’s conference, Quality Assurance Institute International Testing Conference, International Conference on Software Process Improvement and Software Test and Performance Testing Conferences. Bob Crews, President of Checkpoint Technologies, is a consultant and trainer with over thirty years of I.T. experience encompassing the full SDLC, requirements management, and software testing. He has consulted and trained for over 290 organizations in areas such as: mobile testing challenges, effectively implementing automated testing, test team development, risk analysis, and developing practices which maximumize ROI with automated solutions. His clients include Harvard University, J.P. Morgan Chase, and Orlando Health, to name just a few. Bob has presented at numerous conferences throughout the world including QAI QUEST, EuroStar (Copenhagen), and LatinStar (Mexico City). Bob was named as one of the top five speakers at the QAI Annual Software Testing Conference in 2004 and was recently a keynote speaker at STPCon Fall 2018. 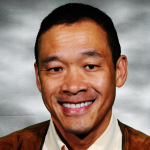 David Dang, VP of Automated Solutions for Zenergy Technologies, has been a leading figure in the test automation industry for over eighteen years. David spearheads test automation for Zenergy by developing advanced frameworks that emphasize reusability and reduce maintenance efforts. David is an expert in commercial automation tools including UFT and RFT as well as open source toolsets such as Selenium, Appium, Robot Framework and Jenkins. On the mobile front, David uses advanced concepts to design optimal frameworks using mobile automation toolsets. He is also in high-demand as a presenter at all the major software quality assurance and testing conferences. David works out of the Zenergy headquarters in Greensboro, NC and received his B.S. in Management Information Systems and a B.A. in Psychology from the University of Buffalo. Kevin Dunne is the GM of Tricentis Flood, ensuring their continued commitment to innovation and delivering tools to create software that scales. With a deep interest in the emerging trends in software development and testing, Kevin is dedicated to collaborating with thought leaders in this space. Kevin previously worked at QASymphony and Deloitte, where he managed testing on large government and Fortune 500 engagements delivering ERP implementations and custom software development. 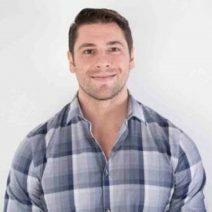 As one of the first employees at QASymphony, Kevin has seen many facets of the business working in sales, customer support, marketing, and product management. Kevin holds a Bachelor of Science degree from Vanderbilt University. Billy Flannery is a Director of IT Analysis for a Fortune 100 Company. He has a proven track record of delivering high-quality applications and solutions, building high-caliber and engaged teams, serving as a role model for technology leadership, and driving unprecedented efficiencies and effectiveness. Billy has 16+ years of experience leading software development initiatives, high-profile enterprise-wide projects, and the delivery of world-class solutions—leveraging Agile, Iterative, and Waterfall—in a Fortune 100 environment. In addition, he has built, trained, and lead high-impact teams, thriving in settings allowing for significant coaching, mentorship, and development of associates and managers. Currently he leads 350+ IT professionals—including up to 9 IT managers—located in multiple sites that oversee software quality assurance, requirements, and testing to ensure product and process quality. Tim Gorman has worked in the information technology (IT) industry since 1984, as an Oracle application developer since 1990, as an Oracle database administrator (DBA) since 1993, and as a skilled optimizer of performance on applications and systems built on Oracle technology since the mid-1990s. In moving to Delphix in 2014, Tim now optimizes the performance of the IT organization itself, in addition to the systems that organization builds. Tim has co-authored six books on Oracle technology, and has performed technical review on eight more books, has been an Oracle ACE since 2007 and an Oracle ACE Director since 2012, has been a member of the Oak Table Network since 2002, and has presented at Oracle Open World, Collaborate, KScope, Hotsos, RMOUG, UKOUG, and Oracle users groups in lots of wonderful places around the world. Tim has also presented at Microsoft SQL Saturday events in Denver, NYC, Chicago, Redmond, Albuquerque, Madison, and Chattanooga. 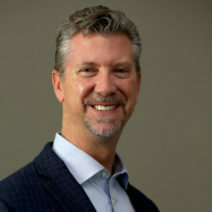 Robert Gormley is currently Chief Essentialist of Continuous Quality for SQS USA (the world's largest pure play QA services company) where he focuses on executive level total quality management strategy through efficient and effective testing leveraging test automation and global service capabilities. He has worked for 15+ years in Quality Assurance and has worked his way up through the ranks in areas such as finance, healthcare, retail, security, wearables, and IoT. From his early days to present day, Robert’s focus has always been on creating lean, agile processes that allow organizations to produce quality software that meets customer needs. Robert has focused on Agile testing for the past 8+ years and has become a certified scrum master. Leveraging his Master’s in Education, Robert has passionately trained and mentored all types of resources (regardless of title or function) in the ways of Total Quality. 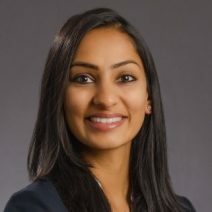 As a Software Quality Manager for Northern Trust's Technology Shared Services Organization, Shalla Goyal's career includes significant leadership experience in managing IT projects with an emphasis on quality control and software testing, including automated testing, process re-engineering and organizational change management. She has extensive experience as a corporate practitioner in managing enterprise test delivery, driving testing and project management transformation, delivering process improvements, driving production stability and managing growth and improvements using data and metrics. Prior to Northern Trust, Shalla was a management consultant for Kenway Consulting and IT Manager for Allstate. She started her career as a developer at BP Amoco and then moved to project management and consulting positions for several small IT consulting firms. 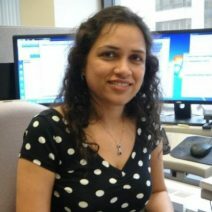 She has a BS in Management Information Systems (MIS) from the University of Illinois at Chicago, a JD degree in computer law from IIT-Chicago Kent, and PMP (Project Management Professional) certification. Danka first came to the US as a refugee over 20 years ago with nothing more than $200, and a desire to make a better life than the one she had to leave behind. It was through this desire, she attended as many classes as she could at her job. One of those classes was a class on Scrum. It was 5 years ago and she jumped at the chance to attend. That class was a real eye-opener, and was the beginning of her Agile and Project Management journey. After that class she became the first Scrum Master in the Fargo office of her company and led her team to become higher-performing. She was also a huge inspiration for her colleagues to learn more about Agile and Scrum. She even organized and led PMI-PMP and PMI-ACP exam prep sessions at work. Danka is a true servant leader who believes in greatness and helping others become the best they can. She is a highly skilled Scrum Master and Project Manager who has several certifications, including: Project Management Professional (PMI-PMP), Certified Scrum Master (CSM), Agile Certified Practitioner (PMI-ACP), and Agile Certified Coach (IC-ACC). 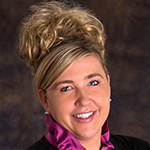 She is active in the Agile and Project Management community in the Fargo, ND area where Agile is still in its infancy. As part of the community, she continues to lead, encourage, and help others better understand Agile. Mush Honda is the Vice President of Testing Services at KMS Technology, Inc. 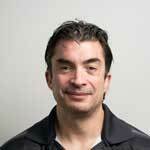 He is a driven IT leader with over 18 years of experience in software testing and practice management. After joining KMS Technology in 2010 as a Test Manager, Mush was named VP of Testing Services in 2015. His current responsibilities include architecting efficient automation and manual test strategies and processes, while empowering teams to be successful. Mush is a leading expert in the testing industry known for his practice leadership, solutions development and cross-industry expertise. During his career tenure, he has worked with applications in insurance, healthcare, speech analytics and financial services. Further, he has a proven track record of creating, modifying, and innovating on test solutions and bringing them successfully to market. Mush has been featured in several leading industry publications as a thought leader on topics in the Software Testing industry. An internationally known software engineer specializing in test automation, Jason Huggins started the Selenium and Appium projects, which have become popular software testing tools and a W3C standard. Among Jason’s more notable career stops are Google and President Obama’s "Tech Surge" team called in to help fix HealthCare.gov in 2013. Jason co-founded Sauce Labs and later founded Tapster Robotics, to combine his testing expertise with his lifelong enthusiasm for robotics. Jason’s robots have been featured in Popular Science, Wired, TechCrunch, and purchased by auto manufacturers, mobile phone manufacturers, and tech companies worldwide. Jason lives and works in Oak Park, Illinois. 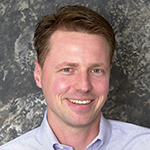 Joe Jarzombek is Global Manager for Software Supply Chain Management for the Synopsys Software Integrity Group. At Synopsis he leads efforts to enhance the Software Integrity Platform to mitigate software supply chain risk via automated analysis and testing technologies. This enables the detection, reporting, and remediation of defects and security weaknesses and vulnerabilities throughout the lifecycle. Prior to joining Synopsys, he served as the Director for Software & Supply Chain Assurance in the US Department of Homeland Security Office of Cybersecurity and Communications. He is a retired Lt Colonel in the US Air Force. He is a Certified Secure Software Lifecycle Professional (CSSLP). 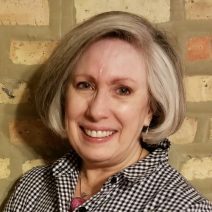 Nancy Kastl is an accomplished professional with over twenty-five years of experience as a consultant, director, facilitator, and instructor in software quality and testing. As an entrepreneur and consultant, she brings her expertise to management teams in strategic planning, measurement, quality management, software testing, process re-engineering, program management offices, and project management. As the director of SPR’s testing practice, she provides leadership for the On-shore Testing Studio in Chicago with a mission to retool and provide jobs for unemployed Americans, veterans and individuals with disabilities. Nancy is a former VP of Quality Assurance at Harris Bank and is the founder and President of the Chicago Quality Assurance Association. Nancy is a frequent conference speaker and is currently the QUEST conference chairperson. 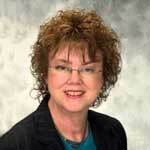 She has served on the Purdue University’s IT Advisory Committee and the QAI Global Institute’s Certification Board. Jamie Kelley enjoys adventure and exploring new and old topics alike. He has had a diverse career from QA Automation to Full-Stack Developer to Application Architect. He has worked in a number of diverse environments from small businesses to Fortune 100 companies. In his spare time, he loves to compete in Ballroom Dancing and being active in general. He also is a nerd at heart who enjoys playing boards games, Dungeon and Dragons, and Magic the Gathering. So, you’re likely to see him in the gaming room. 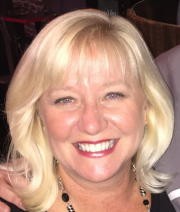 A passionate Context Driven Test Manager with 16 years of diverse IT experience, Nancy enjoys working with teams that are implementing or enhancing their testing practices and provides adaptive testing approaches to exploratory, context driven, and traditional testing teams. She has coached test teams in various environments and facilitated numerous local and international workshops and presentations. From small scale to multi-million-dollar projects Nancy has played many roles within testing including Project Test Manager, Test Manager, Test Lead and Tester. Her most recent work has been exclusively with Context Driven Testing implementations at large scale companies. 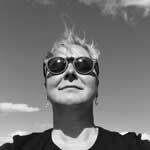 A co-founder of POST, Nancy is an active member of the Calgary Software Quality Discussion Group, Association for Software Testing, and the Software Test Professionals organization. Nancy and her family live in Airdrie, Alberta, Canada. Connect with Nancy on Twitter @nkelln. Yolonda Kennedy is a Quality Assurance professional with 20+ years of experience with expertise in leading quality and testing initiatives. She has proven ability to drive organizational change to maximize processes and deliver quality systems resulting in higher levels of efficiency and productivity. 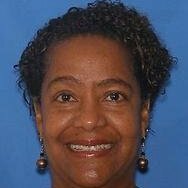 Yolonda has been employed by Anthem for 7 years and is a Technology Manager II of a Requirements and Test Governance team. She is responsible for SDLC methodology, implementing requirements and test processes and standards, metrics and reporting framework, training development and delivery, requirements and test tool implementation and support, and change management. Prior to Anthem, Yolonda worked for PepsiCo for 10 years where she held many positions including Test Process Specialist and QA & Test Manager in PepsiCo’s Enterprise Test Center of Excellence. She is experienced in test planning, test design and development, test execution, and test process improvement. Yolonda has a B.S. degree in Computer Science/Mathematics and an M.B.A. in Information Technology. She also holds a Certified Quality Improvement Associate (CQIA) certification from the American Society for Quality (ASQ), Certified Software Test Engineer (CSTE) certification from the Quality Assurance Institute (QAI), the Certified Tester, Foundational Level (CTFL) certification from the International Software Testing Qualifications Board (ISTQB), the Certified Scrum Master (CSM) certification from Scrum Alliance, SAFe Agilist Certification from Scaled Agile and Prosci Certified Change Management Practitioner. Yolonda has spoken on several occasions at QA and testing conferences. Joseph Kerby is a senior consultant with Jemurai, a growing application security consulting firm specializing in projects that bring security into the software development process. Throughout his 20+ year career in technology, Joe has worked developing solutions, leading projects, and implementing process improvements in the education, healthcare, defense, and security industries. He believes strongly in the importance of security awareness for all and pushing left—working closely with developers, testers, and stakeholders to promote incorporating security early and often in processes throughout the organization. Rohit Khare is an Automation Expert with IBM, currently responsible for providing complex automation solutions to a large client. 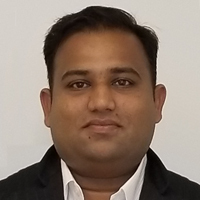 Rohit has over 10+ years of experience in automation testing including design, build and implementation of automation solutions across multiple programs and projects. Rohit has experience across domains including Insurance, Banking, Aerospace, Telecom, Travel and Customs-Excise Domain. Rohit also has extensive hands on experience in multiple automation tools like, UFT, RIT, RFT in addition to Selenium and Java technologies. Recently Rohit has been instrumental in integrating successful process integration into automation lifecycle of the client, thereby standardizing automation output with best practices. 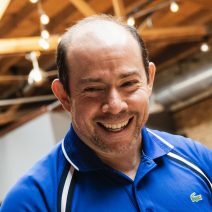 Eran Kinsbruner is a lead software evangelist and the author of the Digital Quality Handbook' and Continuous Testing for DevOps Professionals working at Perfecto, the leading cloud-based mobile application testing, and automation company. 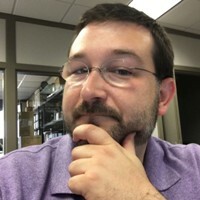 Formerly CTO for mobile testing and Texas Instruments and project manager at Matrix, Eran has been in testing since 1999 with experience that includes managing teams at Qulicke & Soffa, Sun Microsystems, General Electric, and NeuStar. 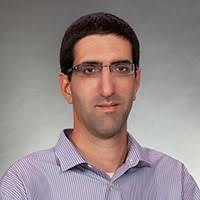 The co-inventor of a test exclusion automated mechanism for mobile J2ME testing at Sun Microsystems, Eran has extensive experience in the mobile testing world. 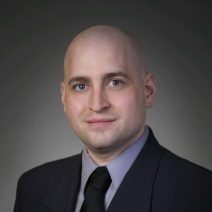 You can find Eran on Twitter @ek121268, LinkedIn, and his professional mobile testing blog at mobiletestingblog.com. Eran also writes regularly for the Perfecto Mobile blog and speaks on a regular basis at events such as HP Discover, QUEST, AppsWorld StarEast and StarWest. Tanya Kravtsov is a Director of QA at Audible, helping to build a new QA org to support innovative web product development at scale. Previously, as the head of automation and continuous delivery at ROKITT, Senior QA Manager at Syncsort and VP at Morgan Stanley, Tanya focused on Quality, Automation and DevOps practices and worked with internal and external customers to transform development and testing processes. Tanya is passionate about process automation, which encompasses test, data, and environment automation, as well as continuous integration and continuous delivery. She has extensive experience building and training new teams and helping organizations adapt Agile practices. 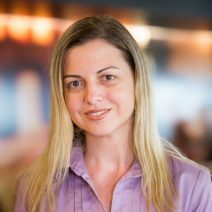 Tanya is a founder of the DevOpsQA NJ (http://www.meetup.com/DevOpsandAutomationNJ/)Meetup group and a speaker at events including Øredev, DevOps West, StarEast, QUEST, TestBash, Anita Borg Women in Tech, Agile Camp and the Jenkins User Conference. Follow her on Twitter @DevOpsQA (https://twitter.com/devopsqa). Philip Lew is the CEO at XBOSoft. XBOSoft’s software QA and software testing services help their clients deliver products to market faster and with higher quality an ever-increasing challenge as software not only eats the world, but becomes more complex and prevalent on platforms we have yet to imagine. As a Corporate Executive, Development Manager, Product Manager and Software Engineer, Philip has managed teams to tackle broken processes, develop solutions to difficult problems, and coached others be leaders, managers and experts. 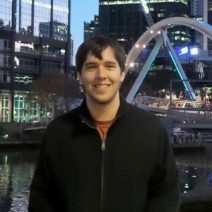 He leverages his academic background in operations research, industrial engineering and computer science combined with hands on work experience with programming, predictive modeling and algorithm development to work with clients and colleagues around the world. He also speaks internationally on a broad range of technical and management issues that currently challenge the software engineering community. For his hobbies, he rides a bicycle, and travels the world to quest his thirst for exploration and learning. Lew can be reached by email at: philip.lew@xbosoft.com. Alissa Lydon is a Product Marketing Manager at Sauce Labs. During her four years at Sauce, she has worked with companies of all sizes in their journey to automation and continuous testing. 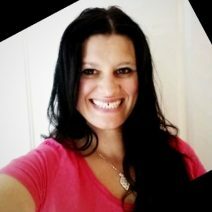 From educating potential customers about the benefits of test automation, to organizing educational events for QA and development teams to learn more about industry best practices, her goal is to leverage her experiences with Sauce Labs’ customers to spread the word about how others can succeed with testing. Outside of work, you can find her cuddling with her dog, traveling to faraway lands with her family, or catching a baseball game (Go A’s!). Moshe is the Co-Founder of Applitools – a cloud service for automated Visual Testing. As part of his role at Applitools, he helps dozens of companies across the industry implement state of the art test automation suites. Moshe is passionate about Software Testing and frequently give talks about it in various conferences around the globe. Before starting Applitools, he served at various VP roles overseeing product, QA and professional services. 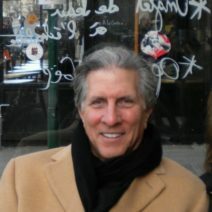 Moshe holds a Bachelor’s degree in Information Systems from the Technion Israel’s Institute of Technology and MBA from IDC (Wharton Business School GCP Program). 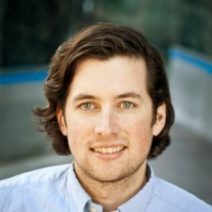 Andrew Morgan is the Director of Product Marketing at Infostretch. He is an experienced leader in strategic analysis, opportunity assessment, and roadmap execution. With his guidance and expertise, he has helped companies expand their digital initiatives to unprecedented levels. Andrew has over 10 years of experience in working with a wide range of companies, including global automotive, pharmaceutical, and technology manufacturers. Additionally, he has directed the development of market firsts such as Life Sciences applications, customer engagement programs, and predictive analytics platforms. 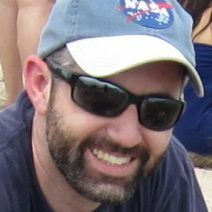 Scot Noftz is an Automation Test Architect at SPR Consulting with over 10 years of experience in the field of test automation. He brings his expertise in developing framework accelerators to expedite standing up an automation solution. Scot has successfully implemented automated tests at multiple different companies in various industries and works with clients to foster test automation best practices. Scot’s main focus is to bring attention to the value of test automation within an organization, both from the impact on assuring quality software as well as the financial and efficiency benefits automation brings across the enterprise. 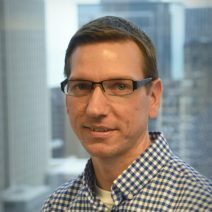 As Centric Consulting's National DevOps Offering Lead, Joseph Ours has nearly two decades of career experience in Information Technology and Certified Project Management consulting. He believes in finding ways to harmoniously work with all core IT competencies, and as such as works as a developer, tester, business analyst, and program manager. His strategic thought process and ability to translate vision into action has resulted in many large successful initiatives. Joseph’s expertise has also led to numerous national speaking engagements. He earned an MBA,and two bachelor’s degrees: in Electronic Engineering Technology, and in Technical Management. He is also PMP certified by the Project Management Institute. Joseph lives in Columbus, Ohio, and has six adult children. He is an early adopter and active technology enthusiast. 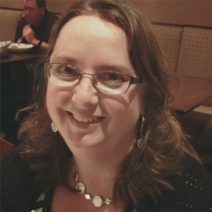 Gerie Owen is the QA Evangelist, Knowledge and Innovation-US at QualiTest Group, Inc. She is a Certified Scrum Master, Conference Presenter and Author on technology and testing topics. She enjoys mentoring new QA Leads and brings a cohesive team approach to testing. 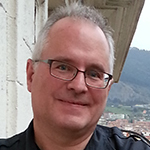 Gerie is the author of many articles on technology and is currently developing a curriculum for DevOps training. Gerie chooses her presentation topics based on her experiences in technology, what she has learned from them and what she would like to learn to improve them. Gerie can be reached through her website, www.gerieowen.com, her blog, Testing in the Trenches, is at https://testinggirl.wordpress.com/ and @GerieOwen on Twitter and on LinkedIn http://www.linkedin.com/in/gerieowen. Jonathan Pearson is a Pre-Sales Consultancy Manager with Original Software. He is a regular speaker at industry events and conferences. 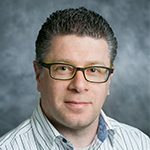 With a career spanning over 20 years in the IT industry on both sides of the Atlantic he has helped many companies achieve better software through the implementation of methodologies, techniques and best practices. He started out as developer growing into business, technical analysis and consultancy with his real-world experience and exposure to different technologies he has helped shape Original Software’s innovative solutions. More recently, John has been helping software application vendors like Compuware and most recently Original Software bring their products to market with roles including Pre-sales Manager, Product-line Sales Director, Product Launch Director, Partner Business Development Manager, and Operations Director. 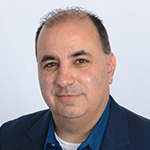 Gary Pedretti has over twenty years of experience in technology. He works closely with companies, from the Fortune 100 to small volunteer organizations, to help them achieve their goals in delivering business value through software. 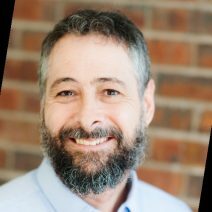 Gary is an agile software development trainer, coach, and practitioner, as well as a curriculum developer, application architect, and software craftsman. He sees agile software development as a natural outgrowth of the lessons learned in the software industry. 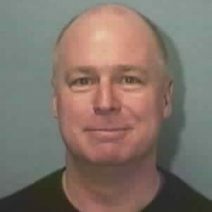 Gary is a Professional Scrum Trainer for Ken Schwaber’s Scrum.org and has trained thousands of students on Scrum – coders, testers, UX specialists, BAs, DBAs, PMs, managers, and C-suite executives – using experiential, immersive courses. 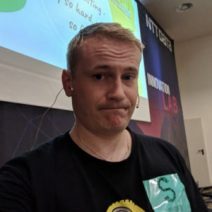 He has also mentored and trained four other Scrum.org trainers, who went on to teach hundreds of additional students over the past three years. 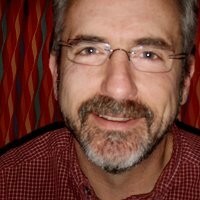 Steve Porter is an ALM mentor/coach/trainer who has a strong background in multiple project management styles. Over the past several years, he has focused his efforts on Agile practices in general and the Scrum Framework in particular. He has recently worked as the Product Owner for TeamPulse, Telerik’s agile project management tool, and before that has filled the Scrum Master role along with the role of Team Member on many Scrum projects. His hands-on experience with all three Scrum roles makes him an excellent trainer. Steve is currently employed by Scrum.org and works in close collaboration with Ken Schwaber on his mission to improve the profession of software development. He plays an active role in the creation of all Scrum.org training material, and assessments. Most recently Steve was one of only 8 acknowledged contributors to Ken Schwaber’s Nexus framework a framework for scaled Scrum initiatives. Akshita Deora Puram is a subject matter expert and evangelist in digital transformation and software testing. She manages the software testing portfolio at SmartBear, which includes award winning tools such as TestComplete, TestLeft, CrossBrowserTesting, and Hiptest. She loves to talk to software quality teams on adopting practices for an agile world, including AI-driven UI test automation, shifting left, and behavior-driven development. More recently, she walked hundreds of QA engineers and managers through how to adopt shifting left and measure their ROI for automated testing. Akshita has over 10 years in the software technology industry working as a system architect, tester, and IT consultant. She has an MBA from MIT Sloan and has also been published by SDTimes, CDOTrends, DZone, TheNewStack, Cucumber, Capgemini, MIT Initiative on the Digital Economy, MIT Sloan, and SmartBear. Ramapriya is a Test Transformation Leader with rich experience in leading, managing and delivering large and complex client programs. Having successfully designed and delivered testing solutions through her career, Ramapriya has extensive experience in risks and issues management. She has been instrumental in building effective testing competency assessment and measurement techniques as part. Ramapriya is currently serving the role of Test Engineering Leader with IBM at one of their large client engagements. 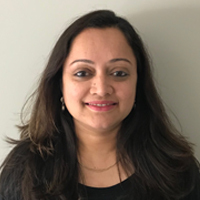 In her current role, Ramapriya leads and facilitates implementation of Transformation Levers into Delivery with a focus to operationalize technical solutions that provide reduced cost to client, faster time to market, and risk reduction. 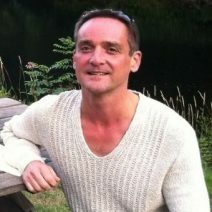 Frank is a highly experienced and sought after Agile Coach and trainer. He was first exposed to an Agile framework called eXtreme Programming (XP) back in 1998, where he fell in love with the idea of empowering teams, fast iterations, and of course, coaching.Over the course of 20 years, he has obtained many professional Agile certifications. However, the certification that is the most fun to talk about is his LEGO®️ SERIOUS PLAY®️ Facilitator Certification. As a skilled trainer and facilitator, he has taught Agile to well over 1000 people all over the world, individually, in formal classroom settings, and at conferences. He is a certified Enterprise Agile Coach with experience in successfully leading Enterprise Agile Transformations in both IT and non-IT organizations. He is currently working with a globally distributed team based out of the USA, Europe, and India. Candace Rountree began her career with Anthem March of 2005 and has served in various capacities. Candace currently serves as a Planning and Performance Director for Anthem’s Quality Center of Excellence. 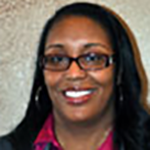 Committed to personal growth and development, Candace believes in never ending learning. Candace received a Masters of Organizational Leadership from Indiana Wesleyan University, and a bachelor’s degree in Communications and Business Administration. 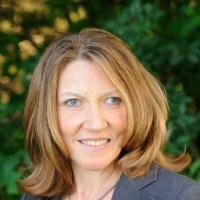 She is a Prosci Certified Change Management Practitioner, SAFe Program Consultant, Certified Performance Consultant, CEB Effortless Coaching Certified Trainer, and member of Anthem Coaching Team. 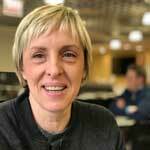 Jolie is an Agile Coach at HERE Technologies, Inc. in Chicago. She has extensive experience working in technology in corporate and academic environments. After spending years in this field, she found that her true vocation was coaching and training, which gives her great satisfaction and makes it fun to go to work every day. Jolie also incorporates play into her work, so becoming a certified LEGO® Serious Play® Facilitator was a next logical step. Jolie believes: that trust is of highest value within a team; in the value of teamwork; in asking questions; and that work should also be fun. John Ryskowski has been helping organizations transform themselves since 1989. He is particularly interested in the social entanglements that preclude progress as organizations work to create their vision and achieve goals. He also happens to have been playing drum set professionally for the last 35 years. John holds a MA in Education from California Lutheran College, a BA in Mathematics from California State University Northridge, is a Problem Solving Leadership graduate, a CMMI High Maturity Lead Appraiser, CSM, yoga practitioner, electric muscle care evangelist, and the creator of drum-talks.com. 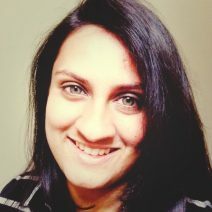 Bindhya Sathyapal, QA lead, brings her 10+ year’s wealth of eCommerce QA experience from Nordstrom, Sears and Grainger. Six years ago, she joined Grainger eCommerce team and leads QA efforts on various critical projects. She completed the GEL (Global Emerging Leader) training in July’17 and applies these leadership skills to developing team members through motivation, mentoring, influence and recognition. She frames QA processes and best practices. As regression lead, she bridges regression and automation supporting Grainger's continuous improvement goals. Bindhya coordinates Grainger Spotlight event, a tech talk in engineering department. Outside work, Bindhya loves to spend time with family (husband and two daughters) vacationing, dancing and painting. 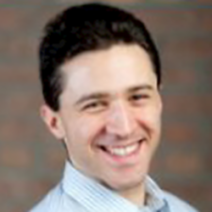 Daniel Schiff has a degree in engineering from Stanford University and went on to earn advanced degrees from University of Illinois in Managing Information Systems and Business Administration. His experience in the industry began in electronic advertising at a startup, Dealix Corporation. Eventually he became Senior Engineer. Using his education, experience and programming skills. Dan built and led a QA team at Edo Interactive. He is currently a Senior Automation Engineer and QA Manager at Radiological Society of North America (RSNA). Daniel is certified as a Software Tester (CSTE) through QAI Global Institute and is a member of CQAA. 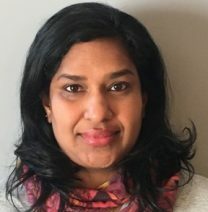 Goldie Shah is a QA Team Lead at IBM Watson Health Imaging in Canada. Goldie has over 10 years of professional experience in Quality Assurance and Software testing. She has an excellent understanding of Software Development Life Cycle (SDLC) and Software Testing Life Cycle (STLC), and the importance of Quality Assurance in Development/Enhancement and Maintenance of software applications. Ms Shah has expertise in the testing of both Client/Server and Web Applications using Manual and Automation testing on diverse environments such as Windows and Unix as well as a thorough understanding of Estimation and Scheduling. Goldie has developed and executed Test plan and Test Cases for Functional testing, Regression testing, System Integration (SIT) testing, System testing, Smoke testing, Sanity testing, Solution level testing, Black box testing, Grey box testing, Stress test, Performance benchmarking. She has expertise in using Test management and Automated Testing Tools: HP Quality Center and Quick Test Pro, Defect Tracking tools including Jira and Service Now. As an engineer, she possesses a specialized skill set of understanding any business from an end to end perspective and often regarded as a subject matter expert. Her area of expertise is in the Healthcare Industry including PACS workflow, DICIM, Modality Worklist and HL7. Martina Sourada is a seasoned professional with over 20+ years in the graphics space. Her experience spans APIs, Software, Hardware, Gaming, Workstation, Cloud and VR. She has spent a career working in various dimensions, from customer, program and partner management, to software release, and certifications, with my current responsibility being that of software quality. Her expertise spans the technical, the operational and people management. Rebecca Staton-Reinstein, Ph.D., CSQA, has a track record of helping companies reduce costs, improve quality and productivity, and increase customer satisfaction for software-related efforts. She works with IT organizations to execute plans to improve bottom-line results dramatically through engineering successful processes and establishing business-oriented measurement. She works with technical and managerial staff to discover and eliminate hidden costs. She helps technical professionals develop their leadership and management potential and established IT leaders enhance their effectiveness and business results. 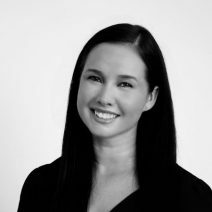 She has established three QA organizations successfully and works with an international client base to implement successful customized solutions for their unique challenges. She is the author of two books on improving software quality and three books on strategic leadership and planning. For more than 25 years, Damian Synadinos has been helping “build better software and build software better” through testing. Now, through his company Ineffable Solutions, Damian offers talks and training that are focused on fundamental topics and people-skills, based on real-world experience, and supplemented with deep research. His experience spans many roles, industries, and companies, including CompuServe, NetJets, Abercrombie & Fitch, Nationwide Insurance, and Huntington Bank. 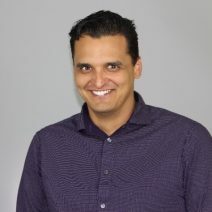 Damian also helps organize an annual, regional testing conference, QA or the Highway, and frequently mentors, coaches, and advises IT professionals around the world. As an international speaker and trainer, he presents at numerous conferences and corporations around the world. Additionally, Damian has over 10 years of theatrical improv experience and frequently uses applied improv to teach. Bob Timm has been operating in the mobile space since the dawn of the Blackberry. He began his career in mobile gaming, with thirteen titles and four million installs, later moving into enterprise and commercial applications. Bob is now a Lead Android Engineer at Bottle Rocket, where he focuses primarily on delivering highly stable and well tested applications. He is a huge fan of Kotlin, unit tests and the Android Architecture Components. 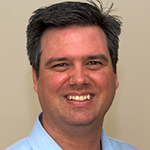 Jim Trentadue has more than eighteen years of experience as a coordinator and manager in the software testing field. 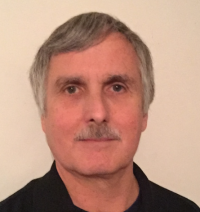 In his various career roles in testing, Jim has focused on test execution, automation, management, environment management, standards deployment, and test tool implementation. In the area of offshore testing, Jim has worked with multiple large firms to develop and coordinate cohesive relationships. As a guest speaker at the University of South Florida’s software testing class, Jim mentors students on the testing industry and trends for establishing future job searches and continued training. Currently, Jim has started his own Test Automation Foundations & Principles workshop aimed at helping manual testers get started with automation. 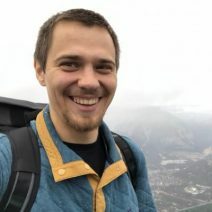 Dmitry Vinnik is a Senior Software Engineer at Salesforce who has been passionate about software quality since the very beginning of his career. Starting as a Quality Engineer, he was able to bring test expertise into his current software engineer role and ensure a delivery of high quality products. In addition to being an Individual Contributor, he is a Scrum Master focused on making his team more efficient and productive. His background involves studying medicine, Bioinformatics, and now being in a purely Software Engineering-centric area. 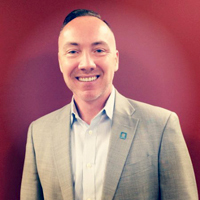 Kirk Walton has over 18 years’ experience in the IT Services industry in a variety of roles including recruiting, marketing, business development, consulting, and training. He has nearly 15 years’ experience in recruiting and has successfully recruited and hired well over 500 IT professionals during that time. Kirk established the recruiting practice at tap|QA, a national consulting firm exclusively focused on QA, Test Automation and DevOps. Kirk has a highly successful track record of building strategies to attract, build and retain high-performing teams. Kirk has trained many teams and hiring managers how to seek out "the right fit" for their teams, based on both hard and soft skills, and how to stand out in a "candidate's market." Kirk will successfully train hiring managers how to "think like a recruiter" when it comes to finding talent, giving teams a competitive edge when seeking out the very best talent for their organizations. Elizabeth Wisdom has over 30 years of experience in IT software development and delivery, the most recent 22 years were leading Quality Assurance, Performance Testing, and User Acceptance Testing teams. Elizabeth’s extensive project portfolio covers several industries including telecom , retail, financial, manufacturing, and insurance. As a QA enthusiast, Elizabeth has built and managed several high performing QA, UAT, and Performance Test teams, both onshore and offshore – with a passion for continuous improvement, process governance, metrics, and best practices. Over the last several years, she has enjoyed speaking at STPCon, Techwell StarWest, and QUEST conferences and welcomes the opportunity to network with others who are equally as passionate about QA, UAT and Performance testing. 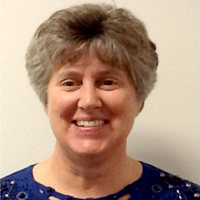 Mary Jo Zervas is currently a Quality Assurance Lead at Paylocity and has worked in Information Technology for 20 years. 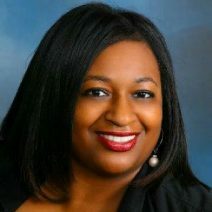 She has CSTE and CSM certifications and enjoys working with Agile teams on QA process improvements and test automation. Mary Jo is passionate about developing test cases for end to end process flow, smart and practical test automation, and enjoys delving into the more technical challenges of software testing. She is well-versed in QA principles and software development methodologies, including Scrum. She believes the role of a quality assurance professional is not only to ensure that software is built right, but that the right software is built. Mary Jo is married with one son and is based in Chicago, IL.